1. Heartfelt, 2015 Arches, Cut Magazine Paper 12 in. x 16 in. 2. 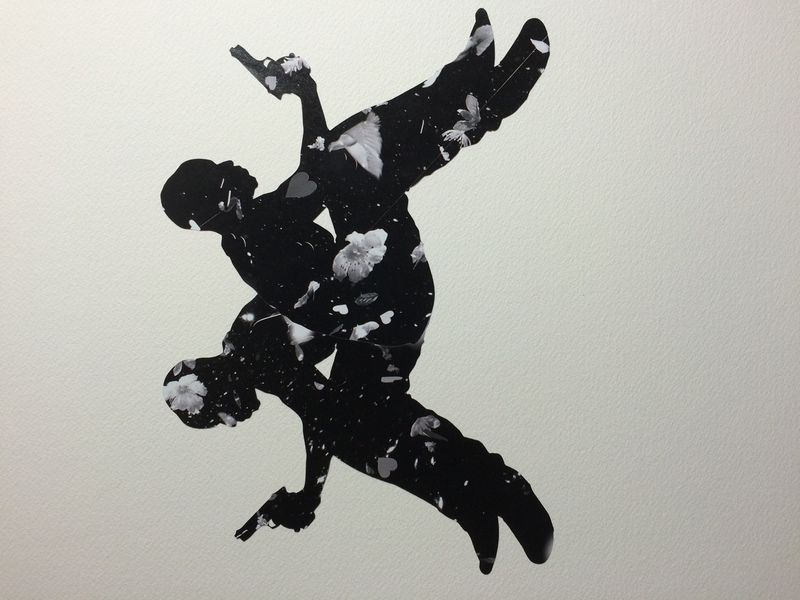 Black Rain, 2015 Arches, Cut Magazine Paper 12 in. x 16 in. 3. 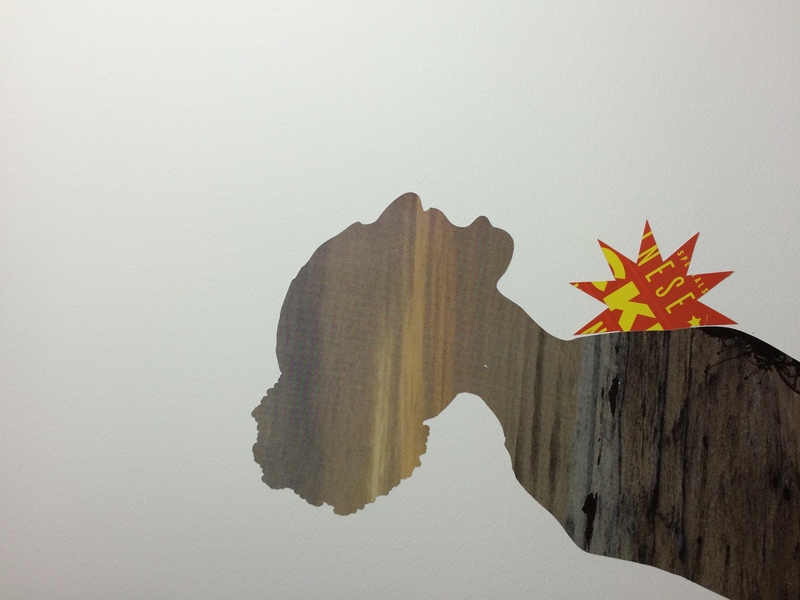 Tribunal, 2015 Arches, Cut Magazine Paper 12 in. x 16 in. 4. 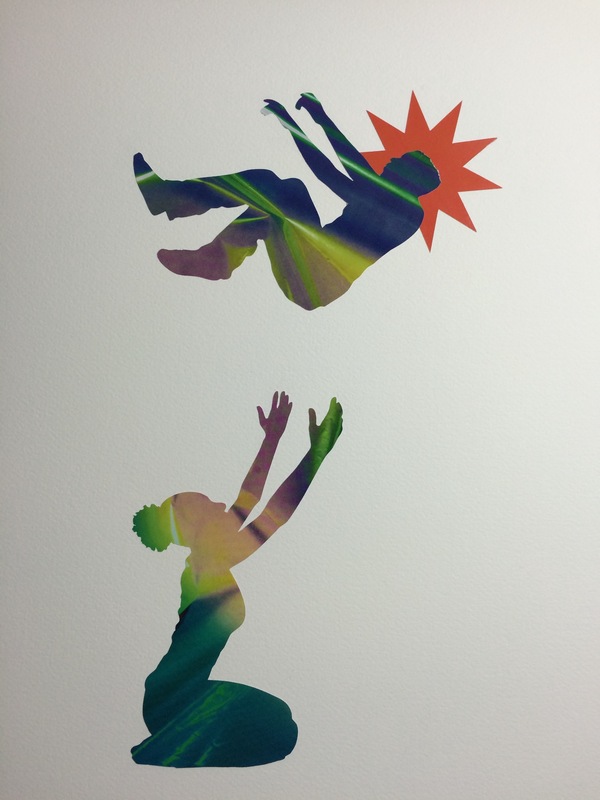 Catch A Fall, 2015 Arches, Cut Magazine Paper 12 in. x 16 in. 5. 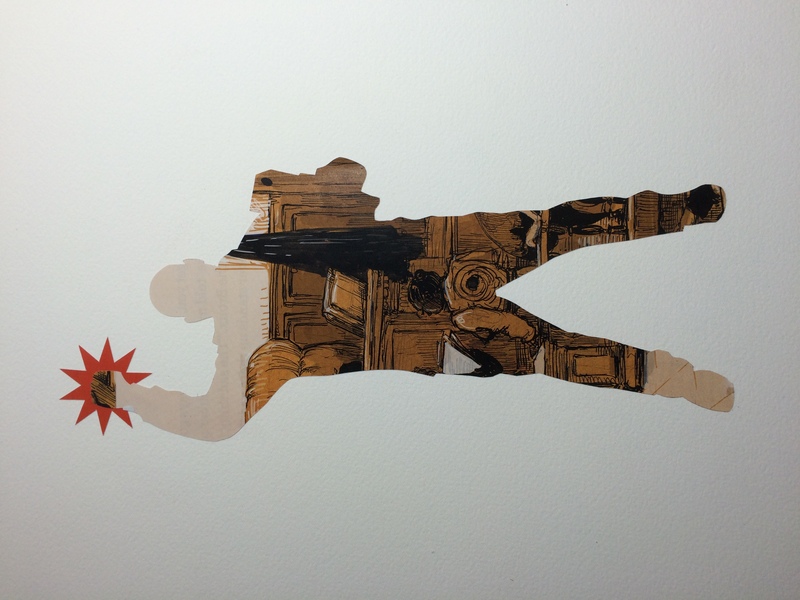 Liberty #1, 2015 Arches, Cut Magazine Paper 12 in. x 16 in. 6. 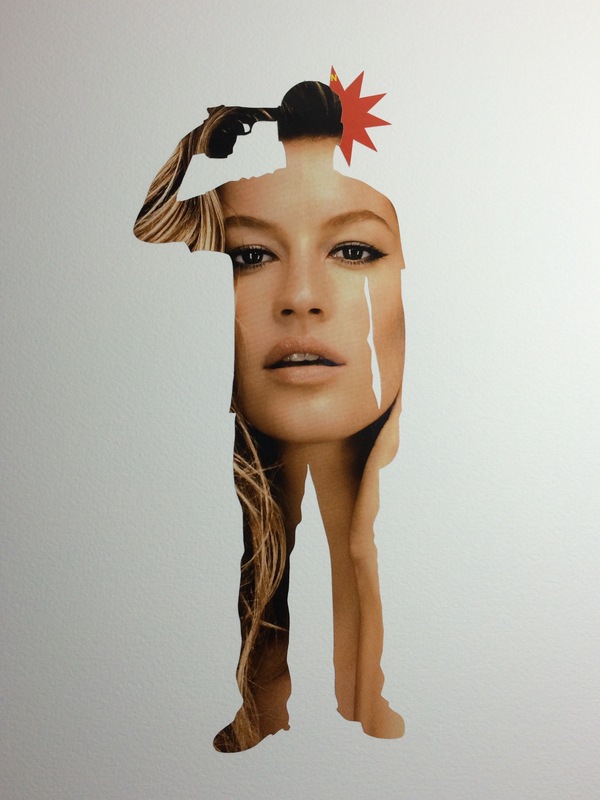 Liberty #2, 2015 Arches, Cut Magazine Paper 12 in. x 16 in. 7. 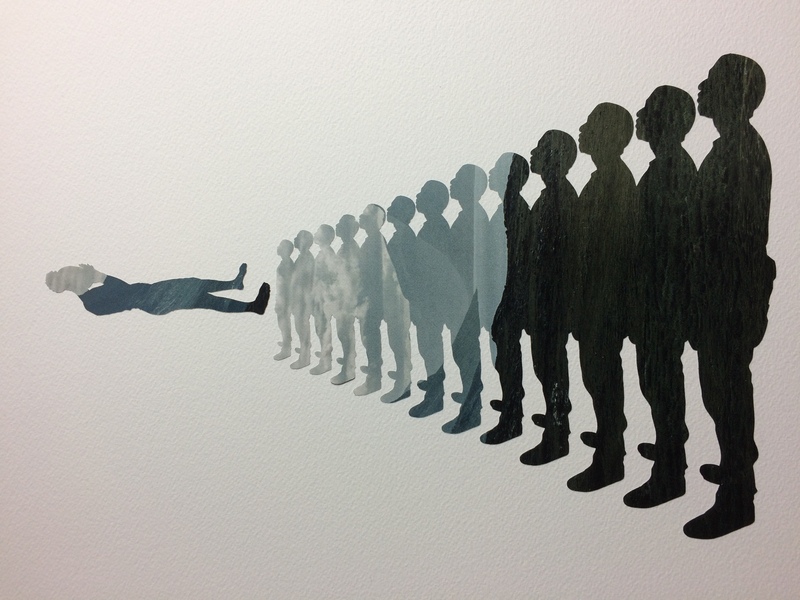 On Guard, 2015 Arches, Cut Magazine Paper 12 in. x 16 in. 8. 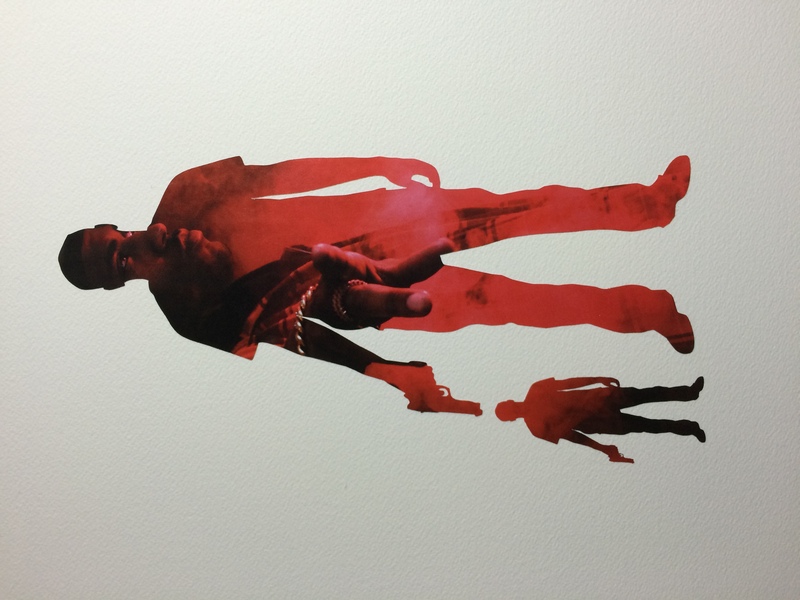 Control, 2015 Arches, Cut Magazine Paper 12 in. x 16 in. 9. 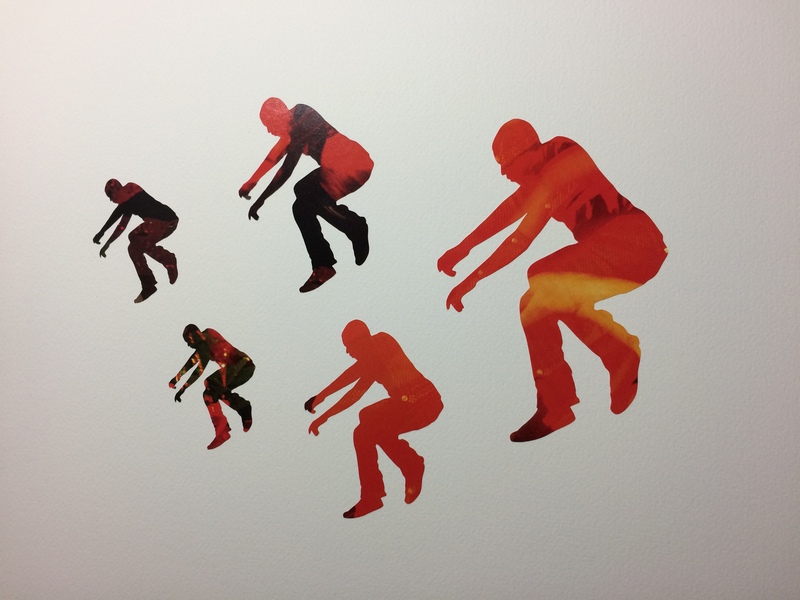 Statistics, 2015 Arches, Cut Magazine Paper 12 in. x 16 in. 10. 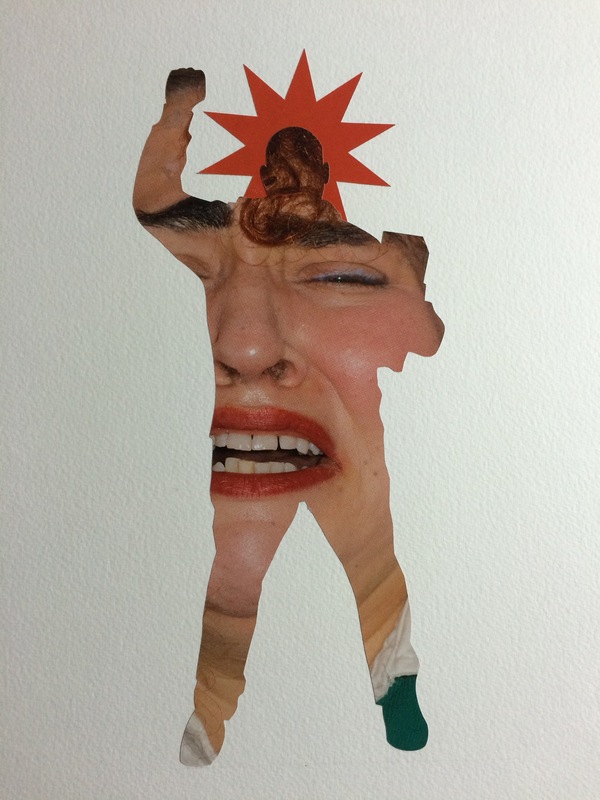 Pressure, 2015 Arches, Cut Magazine Paper 12 in. x 16 in. 11. 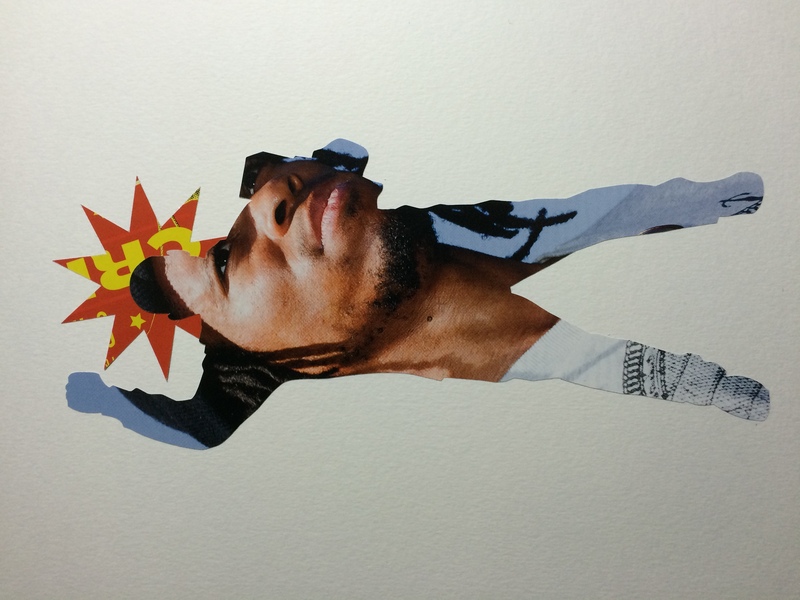 Power, 2015 Arches, Cut Magazine Paper 12 in. x 16 in. 12. 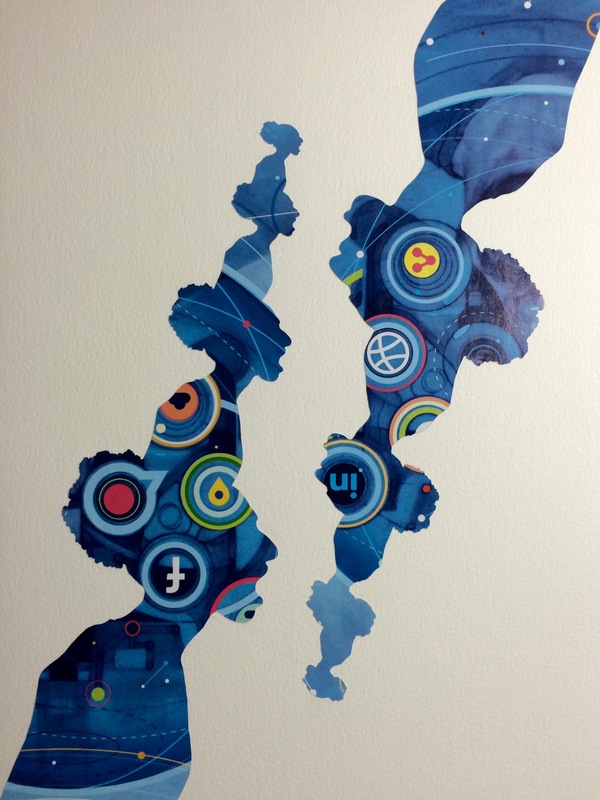 Social Media, 2015 Arches, Cut Magazine Paper 9 in. x 12 in. 13. 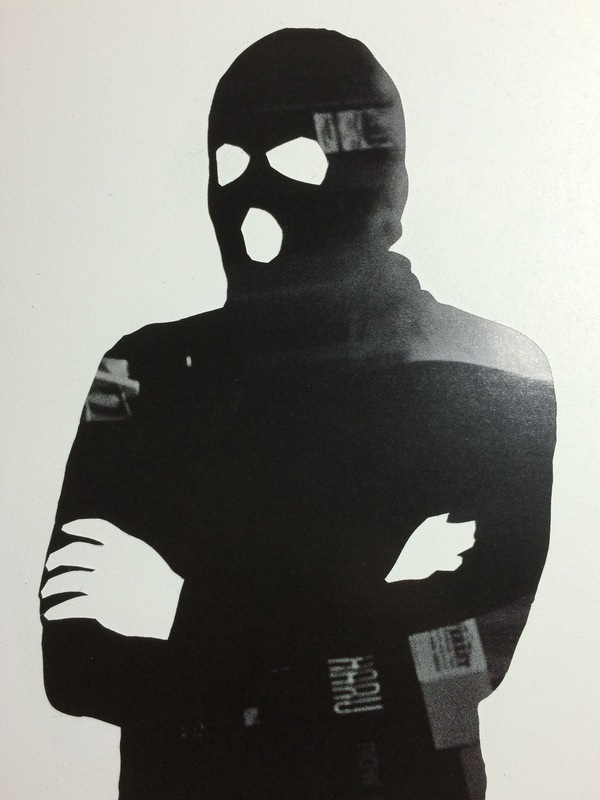 Masked Man, 2015 Gessobord, Cut Magazine Paper 5 in. x 7 in. 14. 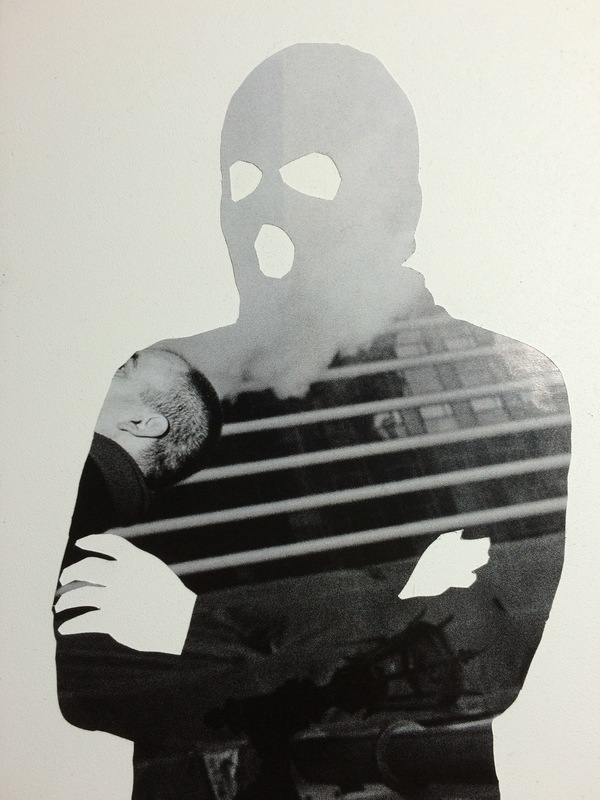 Masked Man #2, 2015 Gessobord, Cut Magazine Paper 5 in. x 7 in. My work is most concerned with the misconceptions and assumptions communicated by mass media in The United States. My practice creates a platform where I can address political and cultural awareness, using the customary, as metaphor. I encourage the viewer to think about socially nurtured assumptions of blackness, poverty, youth, and the characteristics of acceptable behavior, to create a perspective that is more responsive than reactionary. By appropriating the appropriated (i.e. pop culture) and mining historical references, I believe that my messages resonate from a globally shared influence of “American” culture. Although I produce work in digital photography, sculpture, collage and performance, video is my primary medium of choice. 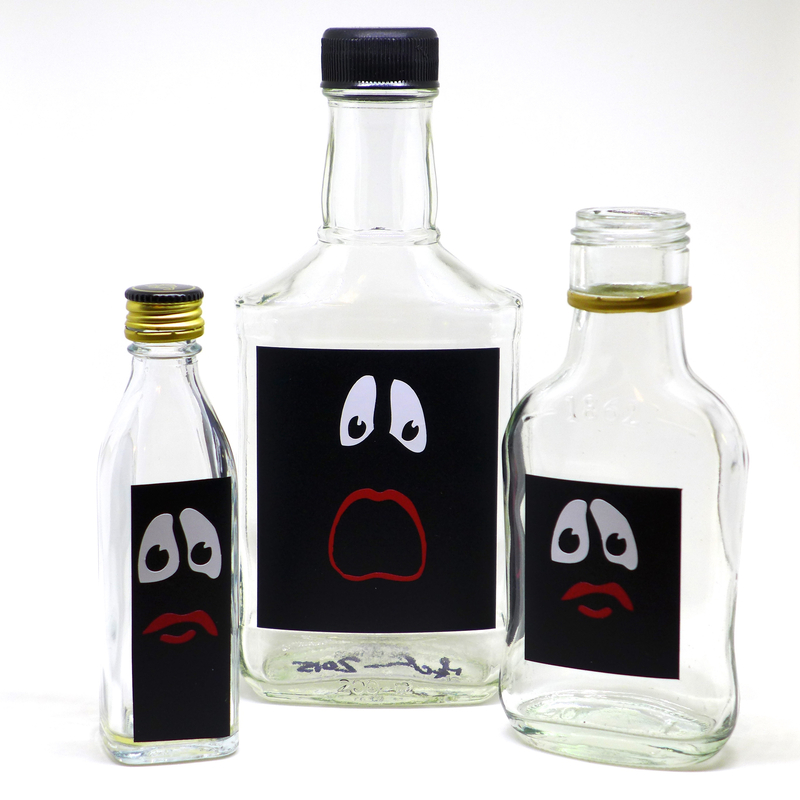 This practice has sustained me through my own consideration of suicide, the death of my father and the effects of my mother’s crack addiction during my teenage years. In fact, I can easily imagine The United States as a crack addicted parent: thoroughly self-interested, irresponsible and dishonest but alternately loving, supportive and gregarious. To cope with this imposed social schizophrenia, I’ve reproduced a slave narrative as a music video/ blaxploitation film mashup, re-framed the single panel comic into a marketable tote bag and transformed the political campaign button into a personal manifesto. 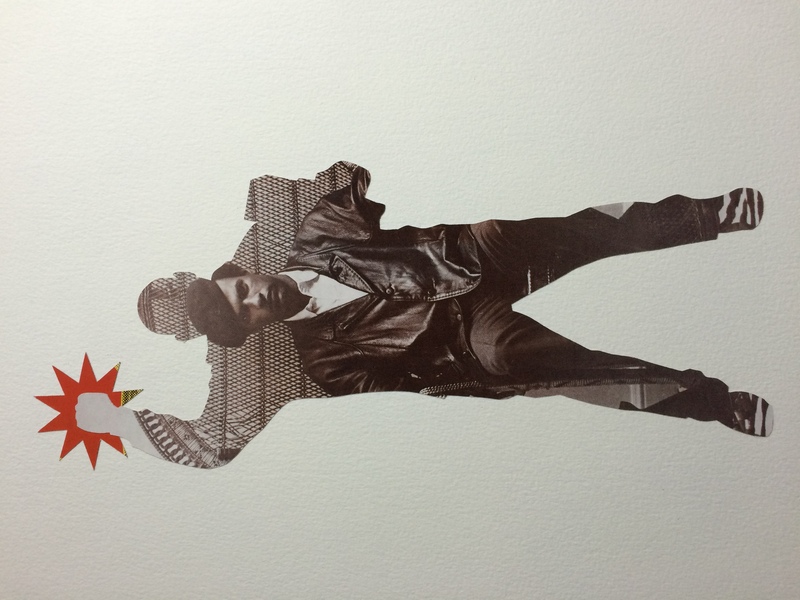 In my world, the Klansman’s hood gets a Kente cloth makeover and the glossy pages of a women’s fashion magazine morph into collaged silhouettes of gun violence — “I learned it from watching you,” America. The significant experiences of my life, both past and present, have served as material for those creative explorations; while enhancing my role as a youth educator, which I consider an important part of my artistic practice. I understand intimately how an environment of instability and confusion can devastate; but also how these personal histories can be inspirational and serve as a touchstone for thoughtful exchange. I was born on the 4th of July and have grown into a cult of masculinity that is one the most criminalized, envied and imprisoned groups in recent history. It’s an emotional journey. It is an intellectual journey. It is a historical journey. It is an economic journey. It is a sexual journey. It is a spiritual journey. But my practice ensures that I don’t have to travel the path alone.